The Names feature on a special 2LP white vinyl edition of classic festive album Ghosts of Christmas Past (Remake) out now via Les Disques du Crépuscule. A 2CD version is also available featuring favourites from the original 1981 and 1982 editions plus selected newer tracks by Crépuscule artists. The original version of Ghosts of Christmas Past was released in November 1981 and featured Tuxedomoon, The Durutti Column, Paul Haig, Michael Nyman, Aztec Camera, Thick Pigeon and The Names. The 1982 and 1986 versions added songs by Antena, Mikado, The French Impressionists, Pale Fountains and Winston Tong. 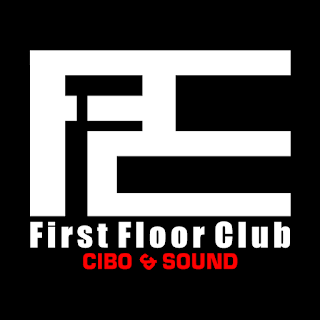 The Names track on this edition is Tokyo Twilight. Festive cover artwork is by Jean-Francois Octave and the double vinyl comes in a gatefold sleeve. 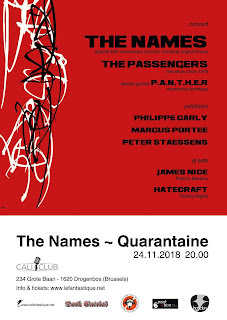 Quarantaine on 24 November 2018 marked the 40th anniversary of the bands The Passengers and The Names). 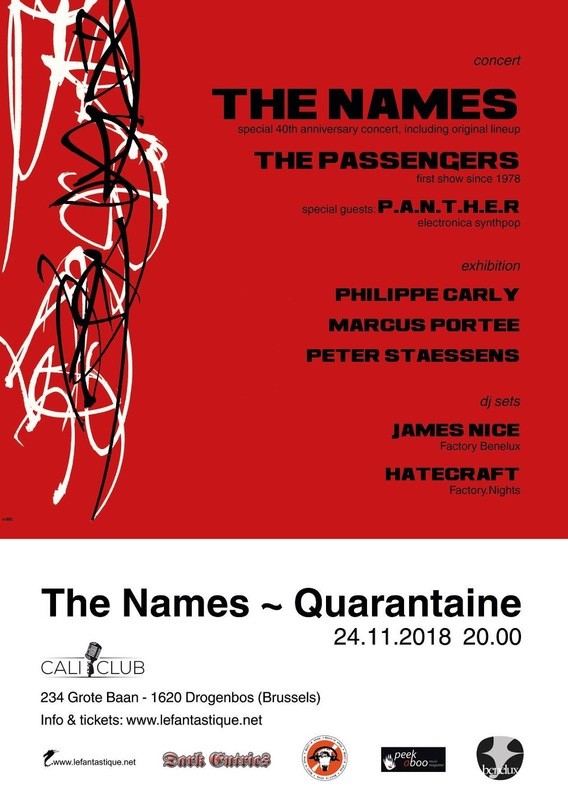 The Passengers performed in their original 1978 line-up (with Isabelle Hanrez singing and Christophe Den Tandt on drums) and the original 1979-1983 line-up of The Names also reunited (with Christophe Den Tandt on keyboards and Luc Capelle on drums). The current musicians played a complete set. 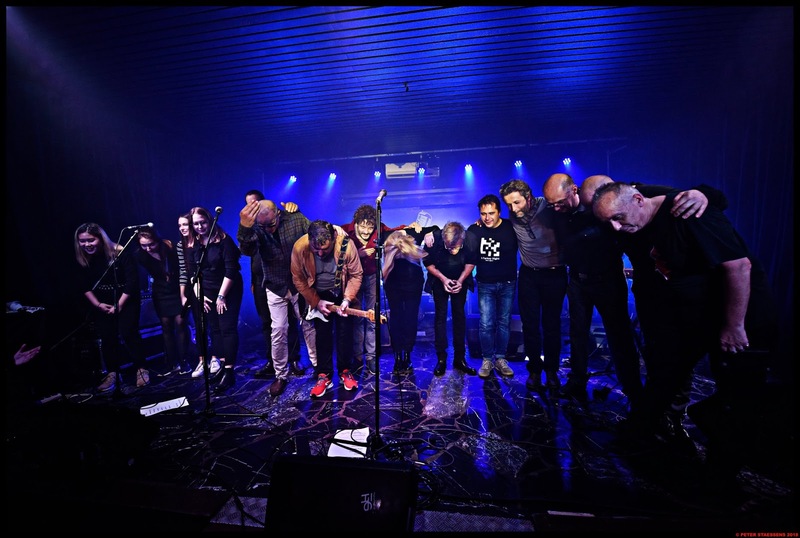 There were also special guests on stage and a few surprises.